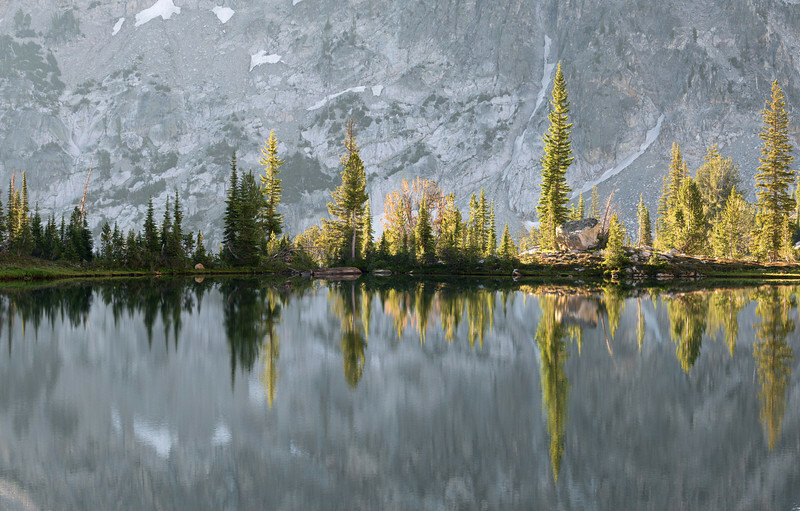 Waking at sunrise, at this small un-named lake in the southern Sawtooths, and after an arrival well after dark, gave us this brilliant golden view. The giant granite face of Mt. Everly stands in the background, and here, where few backpackers travel, were no established camp sites, fire rings, or even a stone out of place. Wonderful.